Heaters are back, with their fourth LP in as many years! The evolution of Heaters over 4 years has been a thrill to hear, from the original sonic maelstrom of three young men to a seasoned 4-piece unit totally finding its groove and its voice the further it ventures on. t s also true that Heaters have grown exactly 4 years over that time, which is quite substantial when you re talking about dudes in their twenties. Many of the songs have an overarching theme addressing the march of time and getting older, and valuing peace as much as chaos, the yin and yang that is life; something that comes through in the overall sound, too. 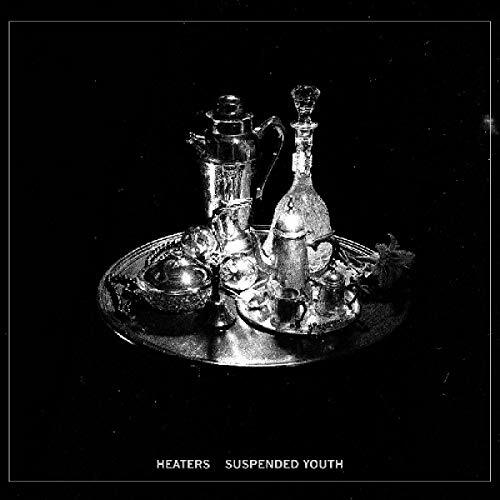 You have never heard a Heaters quite as balanced as on Suspended Youth ; balancing their whirlwind sonic rave-ups with steady motorik lock-ins. Lush guitars and beautiful harmonic vocals, out in the forefront this time around, to dizzying effect. This is the sound of a band aging gracefully, growing artistically, and on their own terms.